Collin Miller has been a man of many positions during his young career at Nebraska. 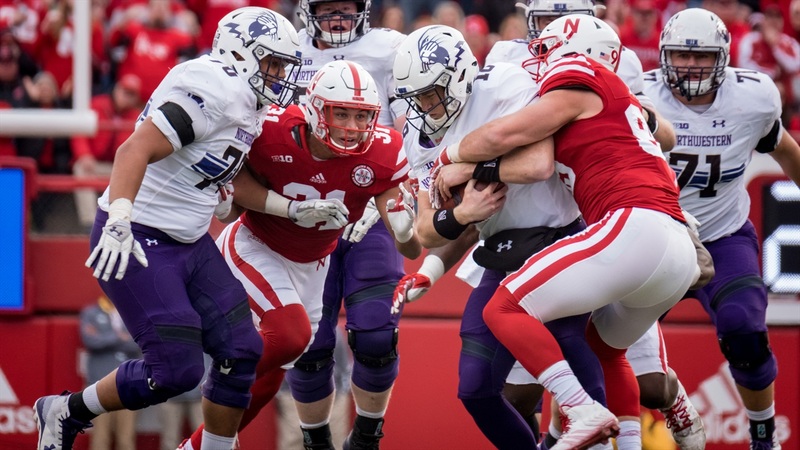 Miller was named scout team defensive MVP as a pass-rushing defensive end during his redshirt season in 2016, then moved to outside linebacker in 2017 as Nebraska transitioned to a 3-4 defense. He bounced back and forth between outside and inside linebacker in practice, but contributed mostly on special teams early in the season. However, with injuries hitting the outside linebacker position, Miller saw the field at that spot and recorded eight of his 11 total tackles on defense over the final four games of the season. Miller spent spring ball on the edge, but now he is back at inside linebacker and it looks like he is there to stay. Though he has bounced around so much, Miller said it hasn’t been too difficult to learn and grow and establish himself in Lincoln. The initial transition took a bit of time from a mental standpoint as he had to recondition his brain to the different calls and responsibilities, but things are flowing pretty well for him at this point with just under two weeks left before the season opener. When the coaches went to Miller to talk about switching positions once again, he jumped on the opportunity right away. The depth the Huskers have built up on the edge compared to the interior made the move a little easier for Miller. At 6-foot-3 and 245 pounds, Miller offers a different type of body at that spot compared to Young (6-foot-1, 245 pounds), Honas (6-foot-1, 235 pounds) and Barry (6-foot-1, 230 pounds). Miller brings a different skill set to the position as well with more of a pass-rushing background, something that could be a valuable weapon for defensive cooridnater Erik Chinander to have at the center of his defense. Overall, Miller said his versatility is his greatest strength, and he’s excited about what he can bring to Chinander’s defense. With each passing day, the picture at linebacker is coming more and more into focus, and it appears as if Collin Miller is going to be in that picture when the season arrives.